Could the Moto 360 be made of plastic instead of metal? The Moto 360 is by far the most anticipated Android smartwatch to date based on everything that has come down the pipeline thus far. The timepiece certainly looks like a high-end product but a new rumor suggests Motorola's wearable might not be as premium as we've been led to believe. The latest rumor out of China claim the Moto 360 will be made out of plastic and will be pretty hefty with a watch face diameter of 48mm. What's more, the watch is said to check in at 13.5mm thick which is thicker than both the LG G Watch and the Samsung Gear Live. It's unclear just how credible these bits of information are but if true, it'd likely take the wind out of Motorola's sails for many prospective buyers. A plastic Moto 360 goes against virtually everything we've heard up to this point but it could be a necessity to keep prices down. When the watch was first announced in March, Motorola said it would be constructed of premium materials. Surely plastic isn't considered premium, right? Maybe it'll also be offered in plastic? Rumors suggesting a thick watch seem a bit more plausible, especially if it supports wireless charging. In related news, serial product leaker Evan Blass (perhaps better known as @evleaks) posted a gallery of images that look to be official product shots of the Moto 360. 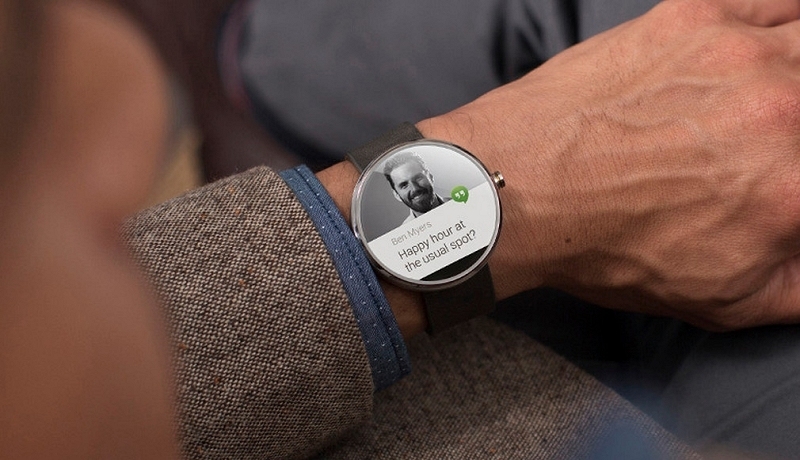 If legit, the pictures could be a signal that Motorola is very close to finally launching the smartwatch.